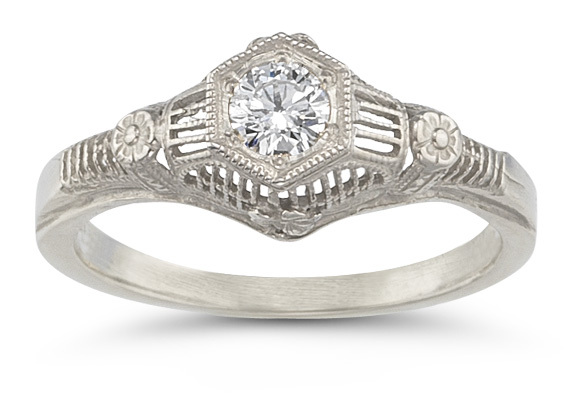 Our Victorian-style floral-embedded diamond ring is set with a single solitaire 1/4 carat diamond in solid 14k white gold. Also available as a wedding ring set, shown below. We guarantee our 1/4 Carat Vintage Floral Diamond Ring to be high quality, authentic jewelry, as described above.